WIRED’s US and UK editions joined forces to bring Shell energy initiatives to life. Utilizing a frequent design treatment employed by WIRED’s esteemed editorial team, unique infographics and data visualizations distilled Shell solutions for a sustainable tomorrow. 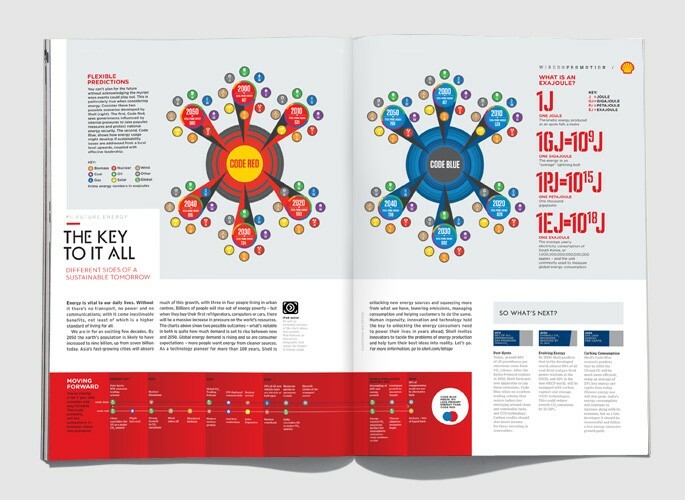 Unfolding across print and tablet platforms, the series aided Shell in educating WIRED’s international community of influencers. Print: A custom insert series illustrated the advanced energy initiatives taking shape across Shell’s business pillars. 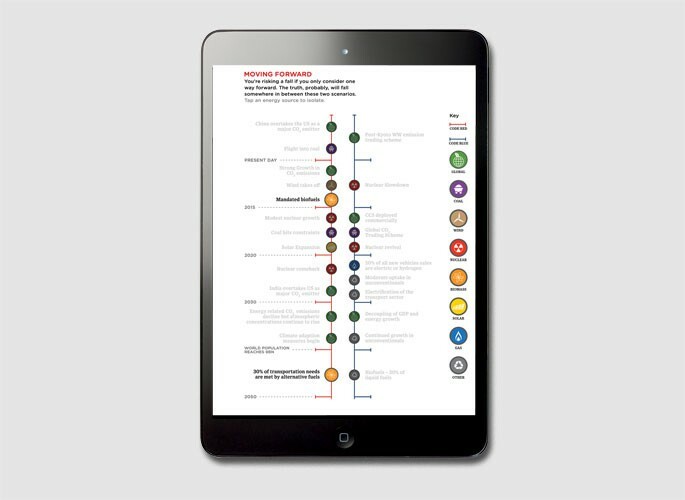 Tablet: Several premium executions adapted select in-book content providing an interactive environment to engage with sustainability solutions from Shell. Custom tablet executions resulted in time spent 6–8x above the norm.